1. The information and material provided on this website is provided free of charge (except where otherwise stated) and solely for illustrative purposes. It is not intended to and does not establish a business, contractual or employment relationship with Teifi Valley Camping Pods. 2. The information, contents, text, images, including but not limited to html code, scripts, and photography is the property of Teifi Valley Camping Pods (otherwise acknowledged) and may not be copied, reproduced, republished, posted, transmitted, or distributed in any way without our express, advance, written consent. 3. 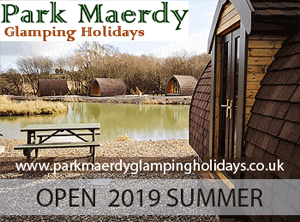 This site is provided "as is" and Teifi Valley Camping Pods expressly disclaims all warranties of any kind whether express or implied including the warranties of merchantability and fitness for a particular purpose. In no event shall Teifi Valley Camping Pods or any of its employees or contractors be liable for any damages whatsoever in connection with the information or material on this website, including but not limited to actual, consequential, direct, exemplary, incidental, indirect, punitive or special damages. 4. Links on this site may lead to services or sites not operated by Teifi Valley Camping Pods. No judgement or warranty is made with respect to such other services or sites and Teifi Valley Camping Pods takes no responsibility for such other sites or services. A link to another site or service is not an endorsement of that site or service. Any use you make of the information provided on this site, or any site or service linked to by this site, is at your own risk. 5. These Terms and Conditions shall be governed by and construed in accordance with the laws of England and Wales. Disputes arising here from shall be exclusively subject to the jurisdiction of the courts of England and Wales. 6. Every effort is made to keep the website up and running smoothly. However, Teifi Valley Camping Pods takes no responsibility for, and will not be liable for, the website being temporarily unavailable due to technical issues beyond our control.